Good reasons to ride a motorcycle include the thrill of the open road, the sense of freedom, and the connection with the world around you, to name a few. Riding a motorcycle can be an exciting recreational activity, as well as practical, affordable transportation. Along with the thrills come the risks of riding a motorcycle. U.S. motorcyclist traffic deaths happened 27 times more often than fatalities in other vehicles in 2014, according to the National Highway Traffic Safety Administration. Further, almost 5,000 people died, and 88,000 were injured in U.S. motorcycle crashes in 2015, according to the Insurance Information Institute. At GibsonSingleton Virginia Injury Attorneys, we represent people who have been injured in motorcycle accidents. 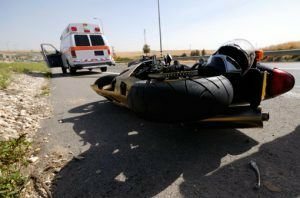 Our Eastern Virginia traffic accident attorneys understand the pain and difficulties you may be dealing with after a serious motorcycle crash. Knowing the facts about motorcycle wrecks can help you make informed decisions if you’ve been injured. What are the rights of an injured motorcyclist? The sad truth is that many motorcycle accidents are caused by the other driver, who fails to see the motorcycle in the roadway, fails to yield the right-of-way, or cuts the motorcyclist off in traffic. If you have been injured in a motorcycle accident caused by another driver, you have the right to seek compensation for your injuries. When we handle your claim, our motorcycle accident attorneys at GibsonSingleton Virginia Injury Attorneys can negotiate skillfully on your behalf for the best possible settlement. We are not afraid to take your case to court if necessary to pursue the compensation you deserve. We work on a contingency basis, which means we don’t get paid until we recover compensation for you. For a free consultation (and information about laws involving lane-splitting, helmets, and insurance), contact us or call us at (804) 413-6777 or toll-free (855) 781-6777. Which insurance benefit could save the day if you’re in a wreck?